South Pacific Familyadventure 2008 - Iridium Go? 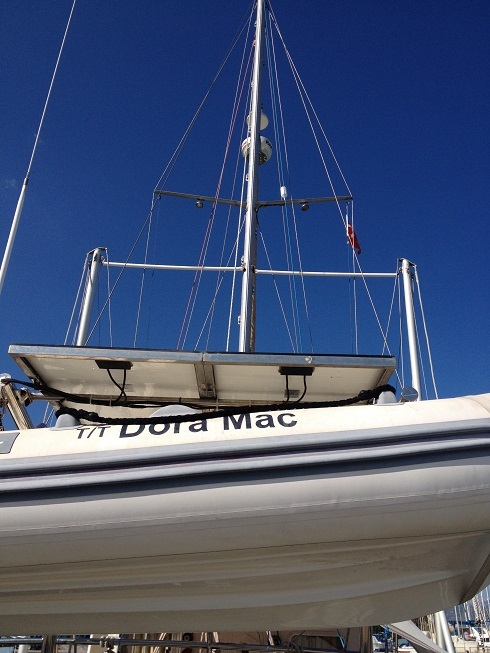 Having installed the antenna on the starboard spreader connected to the Iridium go Device in the steering cabin, the signal strength seems good also while docked in a marina(several cruisers seems to have better cover and signal strength while out at sea vs being docked in a marina where high buildings etc could disturb the satellite signals). 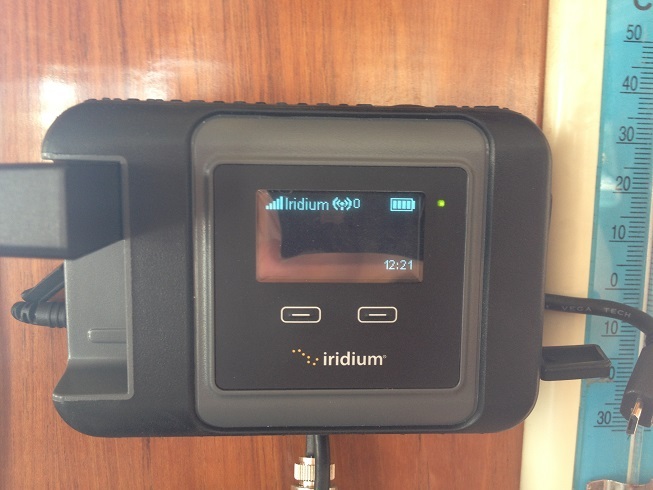 We now have the system set up and the Iridium Go Apps installed in the Iphone/Ipad (the Iridium Go Device serves as a "Wifi Central" for up to 5 Smartphone Devices, in this way being converted to "satellitephones") and when tested it works as expected for e-mail and telephone calls. It will be interesting to get more experience with this equipment, and we will come back with our findings. It is a rather expensive set of equipment and experiences from cruisers all over the world seems to differ.